It's that time of year—time to enjoy the aroma and taste of pumpkin. Pumpkin is so much more than pumpkin pie and pumpkin spiced latte—pumpkin takes on great versatility and is a wonderful addition to any meal. Pumpkin is a natural nutrition powerhouse, rich in vitamin A (important for eye health), fiber, and minerals, including potassium, iron and magnesium (the seeds). Some research suggests that higher intakes of magnesium can help to reduce insulin resistance and prevent high blood pressure - two risk factors that can increase the risk of developing diabetes. Pumpkin is also naturally lower in carbohydrates than other fruits.That's right, pumpkin is actually a fruit. 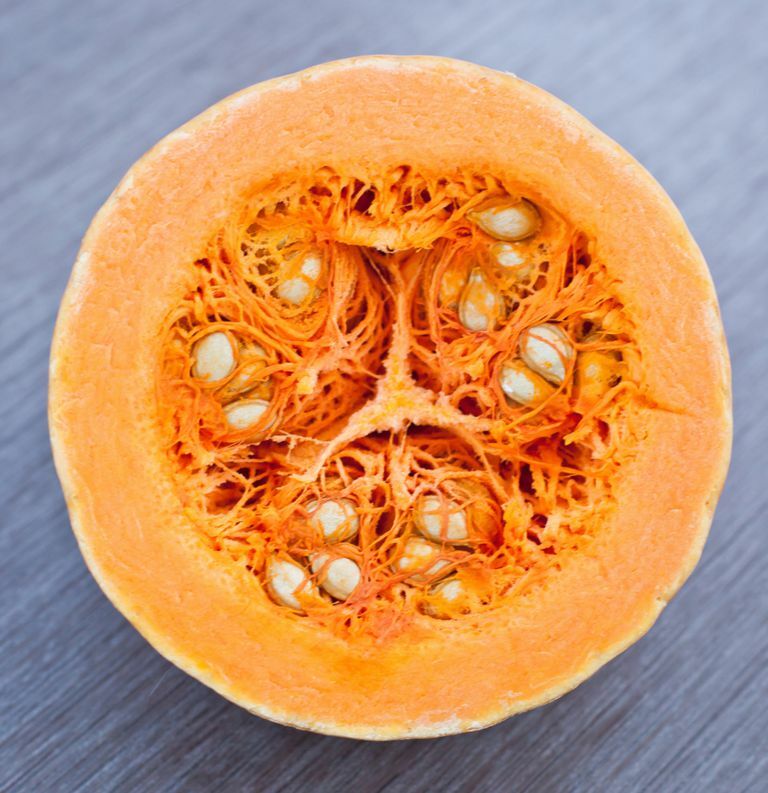 Culinary nutritionist, Kristy Del Coro MS, RDN, CDN, says, "Pumpkin is a fruit; it belongs to the Cucurbitaceae family and is most nutrient dense when prepared using a roasting technique. Roasting pumpkin with some unsaturated fat, such as grapeseed or canola (they have higher smoke points) can enhance the absorption of vitamin A when ingested. Also, the roasting technique will bring out caramelization of natural sugar for better flavor." She also says, "Don't forget about the seeds; pumpkin seeds, otherwise referred to as pepitas are rich in unsaturated fat (which can help reduce bad cholesterol), protein and magnesium—they are a very filling, nutrient dense, low carbohydrate snack." If you aren't into cutting your own pumpkin and roasting the seeds, you can purchase these seeds in the grocery store too. Aim to purchase an unsalted variety. What is the Nutrition Content of Pumpkin? What is the Nutrition Content of Pumpkin Seeds? How Do I Roast a Pumpkin? 1. Pre-heat your oven to about 375 degrees. 2. Wash the outside of the pumpkin. 3. Cut the pumpkin in half and scoop out the seeds and stringy part. 4. Rinse the seeds and put aside for roasting. 5. Cut the pumpkin into quarters and carefully cut the skin off until you have only the flesh of the pumpkin. 6. Cut the flesh of the pumpkin into cubes. 7. Toss with some canola oil, spices like cinnamon and nutmeg (for sweet) or sage and garlic (for savory). 8. Roast in the oven until done - about 30 minutes or until you can pierce through the cubes of pumpkin with a fork. 9. You can eat as is or pulse the cubes in a food processor to make a mash, soup or addition to, oatmeal, grain salads, stews and chilis. Get cooking today with pumpkin. Whether you use fresh or canned your body and taste buds will thank you. Eat Right Ontario. What you need to know about magnesium.